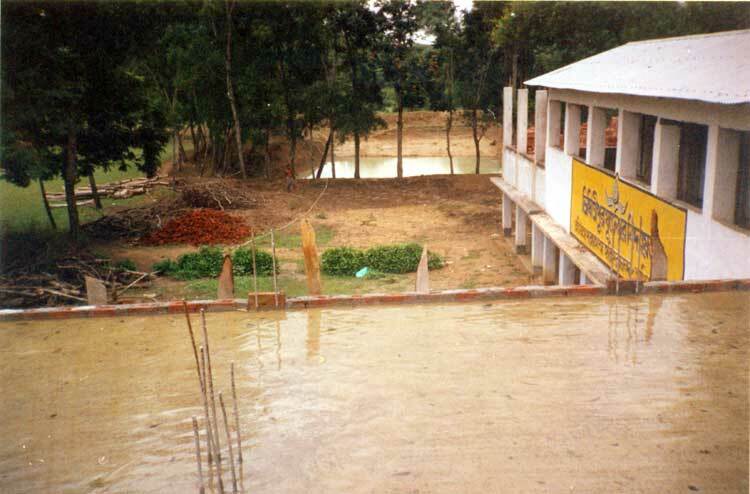 More than sixty years ago, the combined efforts of Paramahamsa Hariharananda and Swami Narayan Giri - brother disciples of Swami Shriyukteshwarji - built a beautiful, secluded ashram named Yuktashram for silent meditation and spiritual practice in the village of Bhisindipur, Bengal, India. In 1973, Paramahamsa Hariharananda recognized the need to construct a school for the impoverished children living in this village. The remote location of this beautiful little village created a hardship for the children who were seeking an education and were forced to walk miles to attend the nearest school. 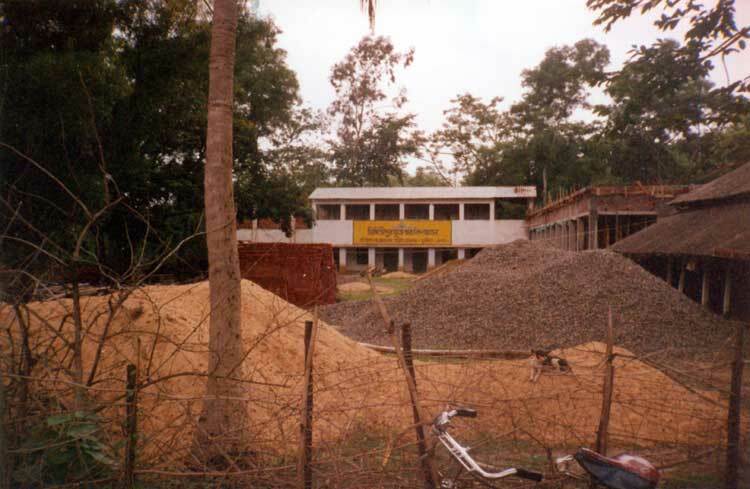 In the spirit of love and service to God and humanity, Paramahamsaji obtained the land and constructed a school with earthen walls and an asbestos roof. He named the school Shri Yukteshwar Vidyayatan, as a tribute to his beloved Guruji, Swami Shriyukteshwar Giri. Paramahamsaji generously paid the teachers’ monthly salary for more than ten years until the school was recognized by the government, who then paid the teachers’ their full salary. 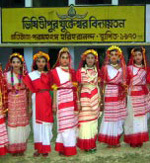 The school has four classes from grades five to eight and more than forty children study in each class. Throughout the years hundreds of children have been educated, and their lives have been enriched, as a result of this work of love. Download this brochure (PDF file) for information about how you can help. Now more than thirty years old, the original building established by Baba Hariharanandaji is in a state of decay. Although some of the rooms are still being used, this old building has crumbling walls which may collapse at any time, as well as flaking asbestos from the ceiling. This has put all who attend the school in a potentially hazardous situation. 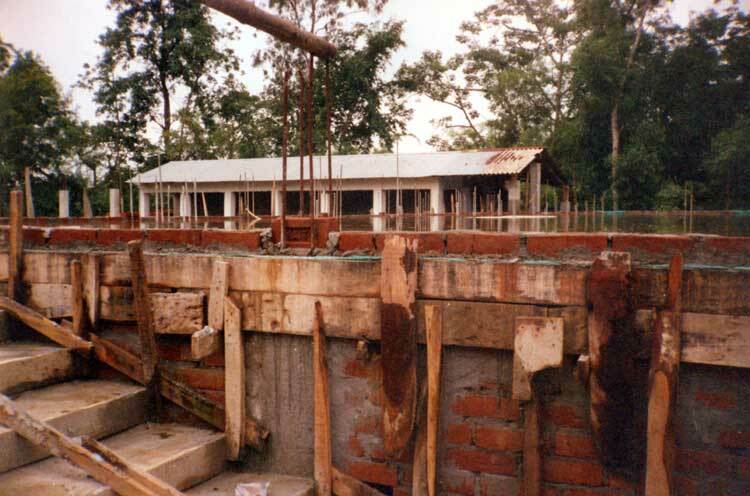 In honor of Paramahamsa Hariharananda’s centenary year, and carrying on his message of love and service, it is our wish to replace the old building with a reinforced concrete cement structured building. 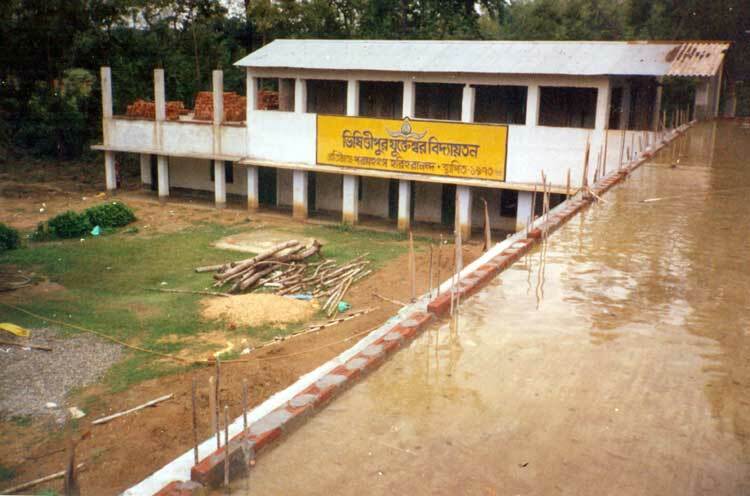 The new building will remain the same size as the existing one, which is measured at 150 ft X 25 ft. For the safety of the children, the school needs a boundary wall built around it. The immediate priority is to construct the main building so that the children can attend the school, sit safely inside the classrooms, and receive their much-needed education. There is also a need for a science room and a library. Funds are needed to pay for the construction of the new school building and boundary wall, as well as the science room and library. 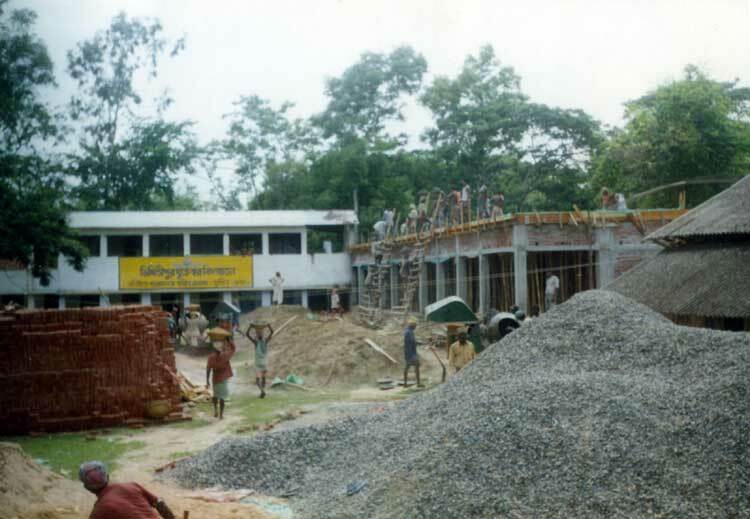 Construction began at the end of the 2005 monsoon season, and will be completed during Paramahamsa Hariharananda's birth centenary year, which began on May 27, 2006. With your help and support, we can make this noble project a reality. Your donation will ensure that Shri Yukteshwar Vidyayatan can continue to meet the educational needs of the children of this remote village of Bhisindipur. Please download this brochure (PDF file) for information about donations. 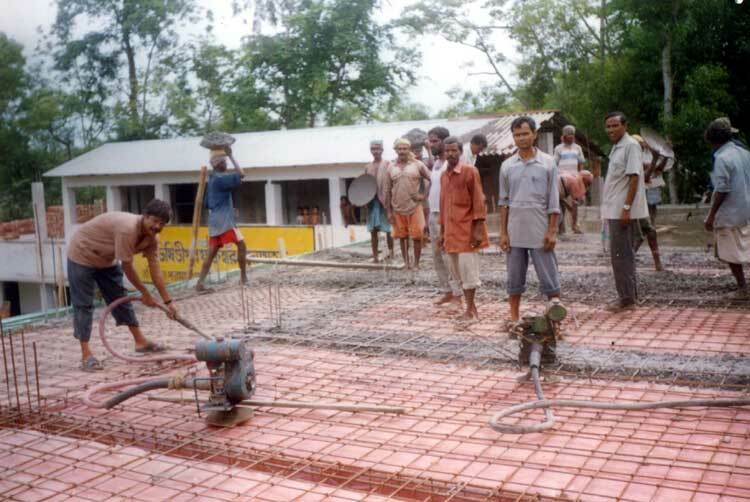 These photographs show the progress of the loving work that is being done right now. New photographs are posted as they become available, so please check back frequently. You may click on a photograph to enlarge it.